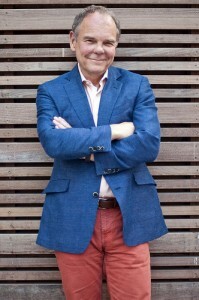 Don Tapscott is in Kuala Lumpur today for the Global Entrepreneurship Summit. The event was started by US President Barack Obama in 2009 as a global platform “to empower entrepreneurs with the skills and resources necessary to compete and thrive in the 21st century.” Speakers and attendees from more than 50 countries will participate over 2 days. Don is on a panel Friday, October 10 on “Gazing into the Crystal Ball.” On Saturday, October 11 he will deliver the lunch keynote on “Entrepreneurship in the Age of Networked Intelligence” (abstract below). Don is being interviewed twice by CNBC while he’s there — a live on air interview for CNBC Asia (4 – 5 minutes), and he will be filmed for “sound bites” on the event on Saturday after his plenary. We are entering the halcyon days of entrepreneurship. Thanks to the Internet, little companies can now have all the capabilities of big companies, without the main liabilities: deadening bureaucracy, legacy culture and people. Talent can be outside enterprise boundaries and companies can use the new media to market and engage stakeholders in radically new and low-cost ways. There’s also a whole generation of young people who are faced with the so-called jobless-recovery. Necessity is the mother of invention. They are out there, all around the world, creating new companies. This is critical to every society, as around the world over 80 percent of new jobs come from companies that are 5 years old or less. Big companies also need entrepreneurship for innovation as R&D is the new M&A. Entrepreneurship is also critical to prosperity, social cohesion and stability, as a new generation of digital-savvy young people needs opportunities. But there is a structural constraint. Small companies are having difficulty finding funding. So they are having to invent new ways to finance their ventures. Venture capital is pretty much broken. The big banks are still suffering the hangover from the prime mortgage crisis and not lending money to startups. But there is a new generation of business builders finding new ways to fund their companies: crowd-funding is a key opportunity. Don argues that this is creating a crisis of leadership, and every institution—from governments and banks to large companies and educational institutions—needs to change its thinking for entrepreneurship to thrive.